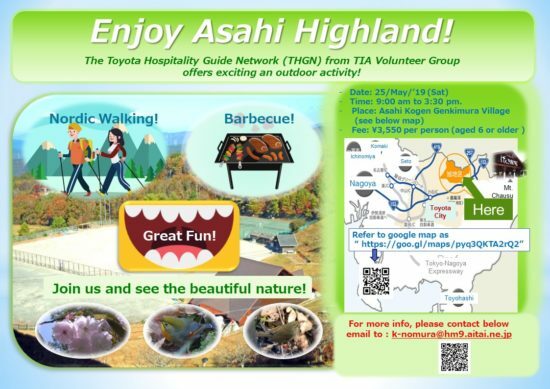 Let’s enjoy a Nordic walking and a barbecue in Asahi Highland on 25th of May. This is a special event arranged by our group, Toyota Hospitality Guide Network. Everybody is welcomed! Look at the invitation below .You can meet many people from many countries. It is also a fun .